Research from BazaarVoice suggests that Prime Day shopping extends beyond Amazon, with 76% of people visiting other online retailers before making a purchase. 46% of consumers are said to visit Walmart, while 40% check Target. BazaarVoice also found that consumers tend to browse other retailers depending on product categories. For example, more than half of shoppers researching electronics brands will also visit Best Buy, while 49% turn to Lowe’s for researching outdoor items like hammocks or barbeques. A new survey by SAS suggests that nearly half of consumers plan to utilise their new rights over personal data in May 2018. In a poll of over 2,000 UK adults, 33% said they plan to exercise their right to remove personal data from retailers, while 33% will also ask for their data to stop being used for marketing purposes. 17% of people said they will challenge automated decisions, and 24% will access the data that retailers hold on them. New data from Hitwise has revealed that there were 9.5m transactions processed on Amazon.com during Prime Day 2017 – making it the biggest sales day of the year so far. The day generated even more sales than last year, when Amazon processed 6.7m transactions. Altogether, Amazon.com accounted for 87% of all online transactions processed by the top 50 retailers on Prime Day – a day when one in every 10 visits to the site resulted in a purchase. Research by Dynatrace suggests that organisations are encountering digital performance problems on average once every five days, with individuals across business and IT functions losing a quarter of their working lives fighting to address these problems. In a survey of 1,200 global IT and business professionals, 75% of respondents said they have low levels of confidence in their ability to resolve digital performance problems. 48% also stated these issues were directly hindering the success of digital transformation strategies in their organisations. Marketing professionals are said to lose 470 hours per year or nearly two hours every business day to addressing performance problems, while IT operations professionals lose 522 hours per year or over two hours every business day. The latest Payments Survey has revealed that debit card purchases have overtaken cash for the first time in the UK, with nearly £190bn being spent via this channel in 2016. Meanwhile, the share of cash transactions shrank 4.5% to account for 42.3%, leaving credit and charge cards to make up the remaining 11.4%. The use of contactless technology has contributed to the rise in card payments, with consumers increasingly using contactless to pay for smaller purchases. The average transaction value on cards declined from £30.53 in 2013 to £25.40 in 2016. The success of this year’s Amazon Prime Day might be indication enough, but new research from Salmon has also highlighted just how much the retailer dominates the ecommerce industry. In a survey of over 6,000 consumers across Europe and the US, Salmon found that 37% of all consumer spending goes through Amazon. This could rise, too, as 73% of consumers say they will increase their use of digital shopping channels in future. 53% of survey respondents also said they would be more likely to buy through Prime than a retailer’s online store, while the majority of consumers feel that Amazon is ‘leading the way in digital retail’. From analysis of over 100m online searches in Q2, Criteo has discovered that searches for online groceries increased by 108% during the period of April to June 2017. With consumers relying on faster and more flexible delivery options, buying fresh produce online is becoming all the more convenient. Consequently, searches for milk, eggs and cheese all increased in the second quarter. Online searches for milk increased by 92% from the first three months of the year. A new study by Expedia Media Solutions has uncovered the motivations and behaviours of travel consumers across eight countries including China, Australia and the UK. In all eight countries, at least 50% of travellers say they are often undecided on a destination close to booking, with most looking for help and inspiration during the planning process. More than 65% say they are influenced by informative content from travel or tourism brands. That being said, the research also found differences in the kind of marketing people respond to. While ads featuring deals are most likely to influence Americans, Canadians and Australians, Chinese travellers are prompted by ads with appealing imagery and informative content. Both French and German travellers place equal value on appealing deals and imagery. According to research from the CMO Council, marketers are finding it difficult to localise content and tailor their output for individual media platforms. In a poll of 150 marketers, just 36.2% agreed they were performing well when it comes to translating creative strategies across all the necessary physical and digital touchpoints. Furthermore, just 32% believed they are succeeding in adapting branded content for different markets, audiences, and locations served by their companies around the world. 47.7% of respondents stated that ‘localisation demands’ – e.g. language, cultural values and religion – were putting pressure on teams to deliver creative at scale. 43.9% also cited new digital formats and device types as a big challenge. Research from 2016 showed that 95% of Brits were more likely to open an email if they contained emojis that juxtaposed the subject line. 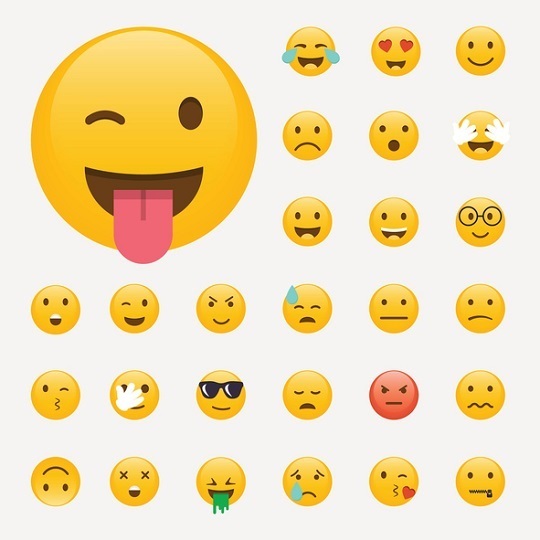 However, a new study by Mailjet suggests that emojis might be losing their effect. While the crying-with-laughter emoji was previously the most popular, Brits are now 33% less likely to open a message using the crying emoji than an email without it. The current overall best performer is the simple red heart emoji, being one of the few to generate a positive net result across all test regions with a 6% increase in open rate. Delivering digital and design solutions, our mission is to empower businesses and create positive impact in communities needing it most. Copyright © 2017 Wp Agency. All rights reserved.